This year the Intuit Gallery is celebrating the reclusive Henry Darger (1892-1973) with events and exhibitions meant to shed new light on his art, writing and kinship with other Outsider artists. Darger devoted all his time—when not working as a janitor, or attending St. Vincent’s church—to his picture making and his novel, the longest in the English language at more than 15,000 single-spaced pages. His production was titanic, his drive to tell stories ferocious. This exhibition engagingly pairs Darger’s art with his writing. Deftly curated by Outsider Art authority Michael Bonesteel, the show presents the artist more like an author and less like the scruffy solitaire that sometimes put penises on his renderings of little girls. 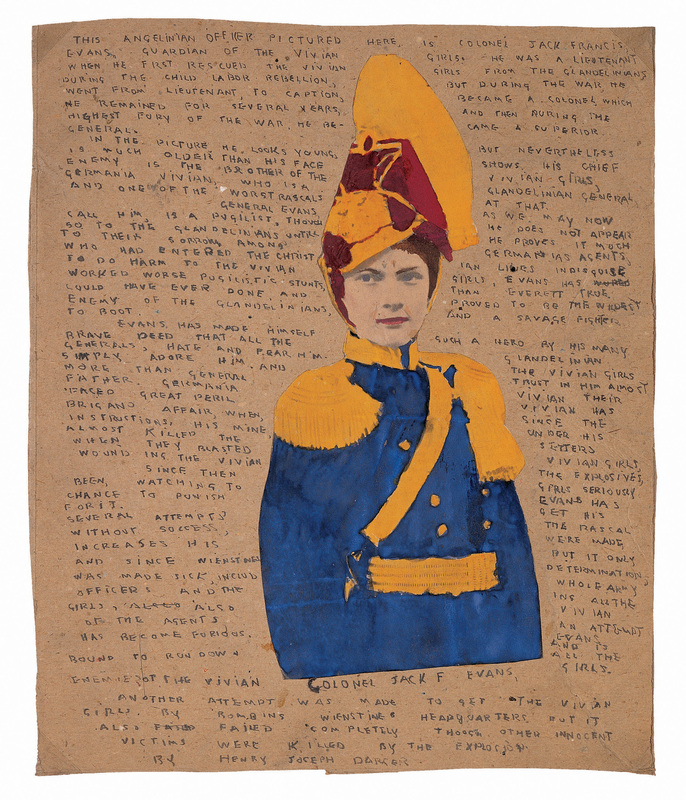 For the first time, viewers can see Darger’s imagery alongside of (facsimiles of) corresponding pages of text from his mega-fantasy, “The Story of the Vivian Girls, in What Is Known as the Realms of the Unreal, of the Glandeco-Angelinnian War Storm, Caused by the Child Slave Rebellion.” His strange pictures are not, as is often thought, simply its illustrations, but rather extend the story or have intriguing links to it. On display is Darger’s old manual typewriter and wafting through the spaces are recorded sounds of typing. Also featured is a slideshow that pages through his scrapbooks. For visitors unwilling to stand and read, this show may be too much work. But to understand Darger’s achievement in its entirety, this show argues, it is necessary to consider the flickering relationship between his quirky pictures and his dizzying text. Several years ago, Intuit recreated Darger’s actual Lincoln Park living room, with its dusty stacks of magazines and artist’s materials. The room remains today, directly adjacent to this show. 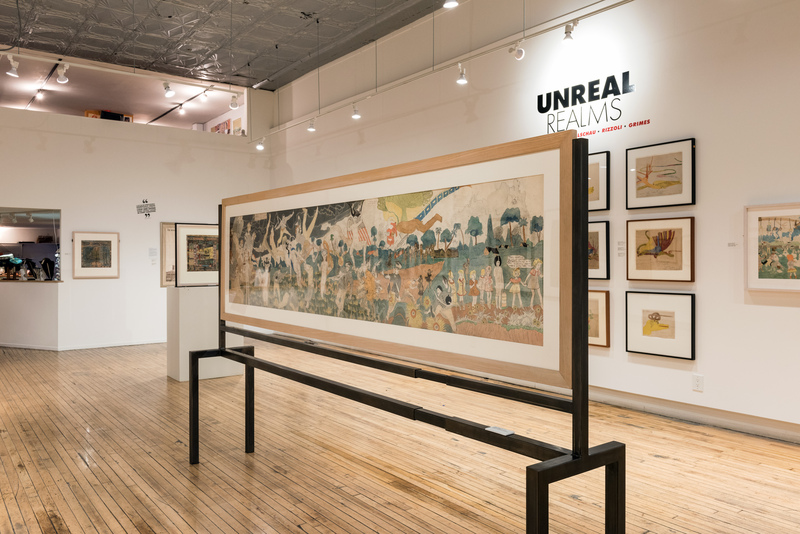 Additionally, a concurrent exhibition, “Unreal Realms” (until March 26), features even more Darger pieces alongside works by other Outsider masters. “Henry Darger: Author/Artist” shows through May 29 at Intuit, 756 North Milwaukee.